Jan van Dongen jr.,full name Johannes Gerardina Antonius van Dongen, was born on March the 1st of 1896 in a catholic family in Breda, where his father was a blacksmith and a bicycle salesman. After primary school Jan attended the Ambachtschool (a vocational school for crafts), which he successfully ended as a carpenter apprentice. During military service he took a correspondence course for architectural overseer and in 1917-1918 worked as an intern for his uncle, architect J.A. van Dongen in his hometown Breda. In 1919 he moved to Amsterdam, where he studied architectural engineering and worked for the municipality. 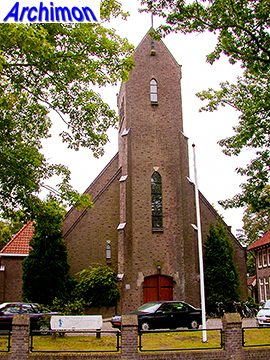 Once graduated in 1923, he married and moved to Ginneken (now part of Breda). To avoid confusion with his uncle, he added junior to his name. 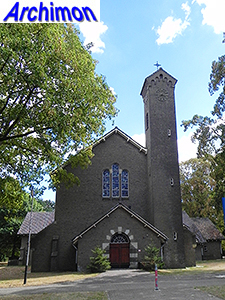 In 1923-1925 he built his first church, the H.H.. Fabianus en Sebastianus in Apeldoorn, and in 1924 he moved to that city while being associated with his uncle in Breda. The association with his uncle in Breda lasted until 1930. Several designs from this period bear the name of the uncle but were most likely made by Van Dongen jr.. These include several houses and mansions and a convent in Breda. 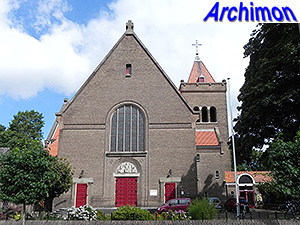 Van Dongen built several more churches and chapels in the Apeldoorn region, being one of few catholic architects in a mostly protestant part of the country, but also had some assignments in other parts of the country that belonged to the Utrecht archdiocese. His first two churches are of an unconventional, progressive nature, although these were moderated versions of much more radical designs. Later he worked in a Traditionalist style and became a prominent member of the architects' branch of the catholic artists' association AKKV and an editor of, and contributor to its architectural magazine R.K. Bouwblad. 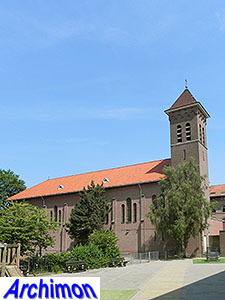 An important client was the Franciscan congregation Broeders Penintenten, for which Van Dongen designed two mental hospitals as well as several other buildings. During World War Two he was one of the architects responsible for the reconstruction of the towns of Rhenen and Wageningen, which both suffered heavy damage during the fighting of May 1940. 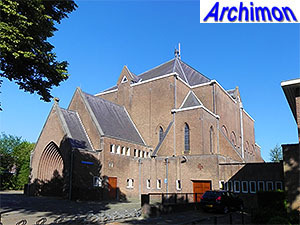 Like some other prominent catholic architects, he was briefly involved with the fascist Nationaal Front movement and even was the leader of its Apeldoorn branch for about two months. He however refused to join the German-installed Kultuurkamer ('Chamber of culture'), making him effectively lose his license to work as an architect in 1942. He had build one more church, a chapel actually, in 1941. Despite his membership of a collaborationist organization, after the war Van Dongen had no, or few, difficulties getting new assignments. As well as rebuilding ruined churches to his own design, he also brought back several to their original state. He continued to use Traditionalist styles for his new churches, although these differed from his pre-war works. 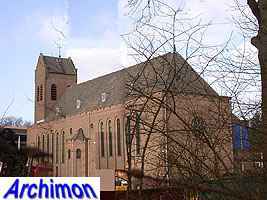 In the 1960's Functionalism became an influence, especially in his final two churches. Van Dongen retired in 1969, his office was not continued. He died in Apeldoorn on the 20th of January 1973. 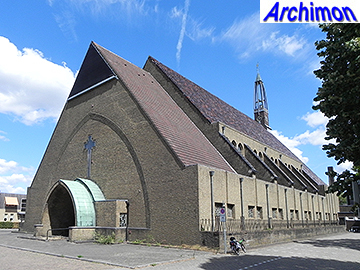 Large three-aisled church in Expressionist style, the first multi-aisled church in the Netherlands without pillars. Open steeple at the back. The first design was not accepted due to its unconventional nature. Large, almost square centralizing church. The proposed tower was not built. Often attributed to J.A. 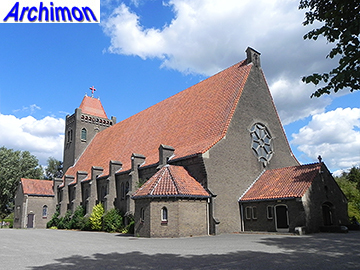 van Dongen but most likely designed by Van Dongen Jr. Complex with chapel in Traditionalist style. Addition of side-aisles in Traditionalist style to an originally neo-Classical church. 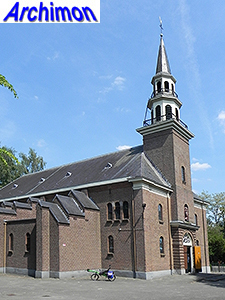 Aisleless church in Traditionalist style, with saddle roof tower above the choir. 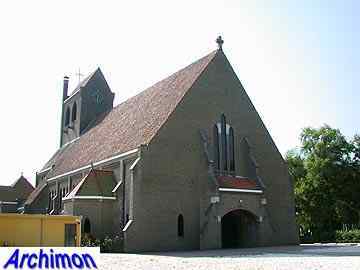 One-aisled church in Traditionalist style, with saddle roof tower and straight choir. 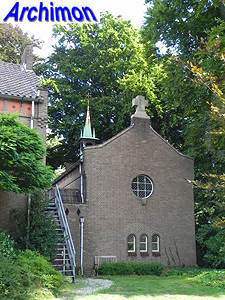 Chapel in Traditionalist style, part of a mental hospital for which Van Dongen designed several other buildings. Building in Traditionalist style. Also served as a temporary parish church. Large aisleless church in Traditionalist style, with tower above the choir. Small one-aisled church in Traditionalist style, with tower. Church in Traditionalist style, inspired by ancient Roman architecture. Building in Traditionalist style, with chapel. 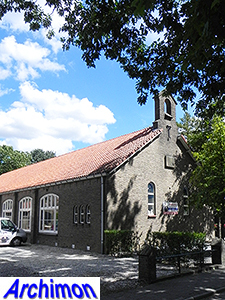 Van Dongen rebuilt a pre-war church which was largely destroyed in 1945, leaving little of the original. Cruciform church in Traditionalist style, with short tower at the side. Basilica in a Traditionalist style, inspired by Roman architecture. 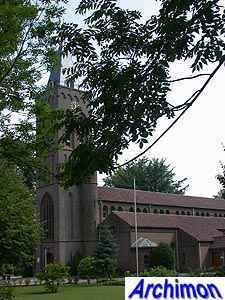 The lower part of the destroyed predecessor, a neo-Gothic church by A. Tepe, was incorporated. Three-aisled basilica in Traditionalist style, with frontal tower. Chapel in Traditionalist style, inspired by Romanesque. 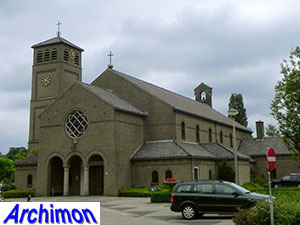 Church in Traditionalist style, with narthex at the front and a tower at the side. 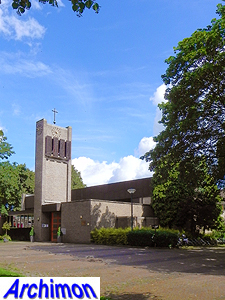 Church in Functionalist style, with massive tower.